Exceeding customers’ expectations may be the one thing all retailers strive to do. But what if providing a clean facility, friendly service and well stocked shelves isn’t enough? What if your customers are judging you on more than just the customer service experience? Well, some are. Some customers are looking beyond the shiny objects and smiling faces and looking at factors such as sustainability, environmental impact and a how companies contribute to their communities. If your customers are thinking of these things, you as a c-store owner should, too. Read on to find three things that your customers expect beyond the standard definition of customer service. 1. To be heard – In Carl Sewell’s book Customer for Life, Sewell writes that we should “ask customers what they want and give it to them again and again.” This seems like an easy one, right? Maybe not. As noted by NACS, McDonald’s is currently facing a dilemma around straws. Straws seems easy enough to manage. However, there are consumers that recognize the challenges with recycling straws due to their size and weight. This poses a dilemma for McDonalds. While they are testing paper straws in some areas there are a good deal of customers that want action now. Take a look at what you have stocked, are there items (think Styrofoam cups, plastic straws, etc.) that may not resonate well with your customer base? It may be time to make a change. StrasGlobal can help you complete a market review to better understand the needs, wants and expectations of your customers. 2. To be treated with honesty/integrity – It’s worth noting that customers expect to be treated honestly and fairly. Customers are presented with many options when making a purchase. Those retailers that ensure the basics are met have a good chance to create a repeat shopper. Those that take it a step further and are transparent and upfront about the origin of their products and offer fair and reasonable prices stand a better chance of gaining a customer for life. 3. To be a priority – Walmart hires associates to stand at the front door and greet customers as they walk in (they’re called “greeters”). Cumberland Farms asks employees to acknowledge customers as they walk through the front door. These retailers recognize the value in putting the customer first. While you may not have the resources to take steps like Walmart or Cumberland Farms, there may be subtle ways that you can show your customers they matter to you. 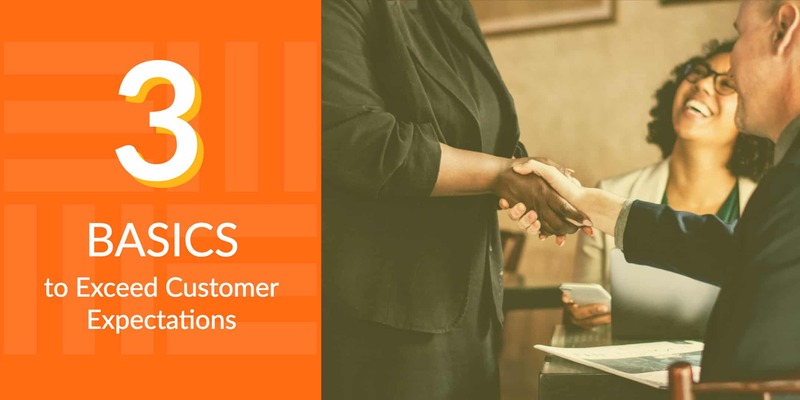 StrasGlobal can help you uncover those methods and help you show your customers they are your top priority. Contact us to learn how StrasGlobal can help you to not only meet, but even exceed your customers’ expectations.